The inland City of Canberra is situated at the northern end of the ACT and is the capital city of Australia approximately 280kms north-west of Sydney. Canberra boasts stunning greenery, a vast array of scenic bike paths and has a population of approximately 390,000. Canberra is a popular holiday destination not only for Australians but international tourists and has been named as one of the best cities to live in the world. It prides itself in its education system, affordability in housing and living, exceptional health facilities and a low crime rate. Canberra is a cultural hub of activity with annual events and festivals such as Floriade – the renowned Spring flower festival, Summernats – and iconic car festival and Enlighten – an art and cultural festival enticing thousands of visitors each year. There are a number of main attractions to discover and explore such as the Australian War Memorial, New Parliament House, National Gallery of Australia and National Library of Canberra. Canberra is a sophisticated and cultured city offering an abundance of culinary delights and extracurricular activities such as the trendy cafes and restaurants, and burgeoning nightlife. Start your day at the Cupping Room with the perfect coffee made by world champion barista Sasa Sestic followed by a trip to the city’s shopping districts consisting of chic boutiques and award winning markets and finish off the perfect day in one of the cities world class restaurants and bars. There is a number of ways to get to Canberra using public transport. Sydney offers a direct train from Central Station that takes approximately 5 hours. Flying into Canberra Airport would reduce that time to approximately 3.5 hours along with coach services that depart daily between Sydney and Canberra. Canberra is known to be the highest user of bicycles as their main mode of transport in Australia. Canberrans also are the country’s largest recycler of household waste than any other city in Australia. 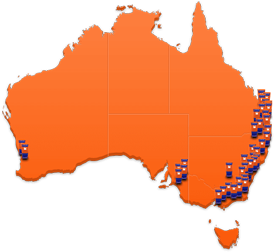 80 embassies are located within a 5km radius of Parliament House. Canberra was designed by United States Architect Walter Burley Griffin in 1912 after winning a competition. 70% of the area in Canberra is open land. The National Film and Archive art deco building is known for being the most haunted building in the nation. On the outside windows of buses are stickers stating ‘Do not enter the bus through windows’. Most of Canberra’s streets have been named after politicians with the exception of Callister Street in Theodore, that pays homage to the inventor of Vegemite, Dr Cyril Callister. Canberra’s weather is known for its crisp, clear air as well as its dry climate due to its height above sea level and the fact that it is further inland from the coast. The colder months (March-August) scarcely pass below 4 degrees and warmer months (September-February) have an average of no more than 27 degrees. Winters are brisk and the average daily temperatures are 12C and fogs and frost are a common occurrence. Humidity is low and the average UV index in winter is low and high in summer so sun protection is highly advised. The city of Canberra was designed by architects Walter and Mario Burley Griffin as a city with surrounding suburbs that are linked to each other by major roads and partitioned by nature reserves. Canberra is divided into seven specific regions of residential suburbs that envelop a central business district. 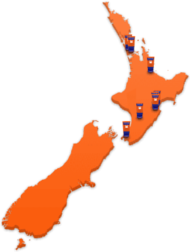 This means that no matter which suburb you choose to live in everything is easily accessible and within walking distance. Canberra’s growing economy and rising property market has confirmed its status as being one of the best places in the world to live and work. The city is the political core of Australia and is also a contemporary city that emanates a cosmopolitan feel. Regardless of where you live in Canberra you’ll find a family friendly and welcoming approach from the local residents. Canberra provides you the opportunity to create a unique work/life balance, wherever you choose to live. Businesses and retail shops, bars and cafes intertwine with lush greenery and nature reserves creating a unique and vibrant lifestyle. Canberra offers a large range of housing options to suit any budget and boasts affordability in residential living less than that of all the other main cities in Australia. Canberra's central business district, also known as Civic, is the prime commercial centre in Canberra and accommodates numerous Australian Government department offices and office buildings alongside retail shops and recreational amenities such as cafes, restaurants, bars and cinemas. Public transport is easily accessible with buses and bicycles the main mode of transport however Canberra Airport offers daily domestic and international flights. The city of Canberra is comprised of 130 schools public and private, which caters for early childhood, primary and high school students and has a high reputation for producing exceptional academic outcomes. Tertiary education is available at Canberra Institute of Technology University of Canberra and the Australian National University. Canberra is also home to the headquarters of the world renowned Australian Institute of Sport (AIS), responsible for identifying and developing Australias Olympic and Paralympic champions and fostering sport in the country. Q: I am looking to store my Personal belongings in Canberra ACT? A: Looking to declutter your life? Storage spaces available in a range of sizes from one cubic metre to a full garage size and bigger, we have the space to suit your needs. Stay as short or as long as you like and only pay for the time you stay, we refund all unused rent, no hidden fees or charges just one simple rent amount each month. Q: I am looking for a storage centre that I can run my business from? A: You can use self storage to compliment your business, power and lighting is or can be made available. Access to free wi-fi, conference room and kitchenette facilities. Unlike a warehouse, there are no legals, no bond and no lock in period making your business storage flexible. Downsize or upsize or move out of your space when you want without penalty. Perfect for start-ups, small businesses or large businesses who like to be nimble and cost efficient. Q: Do you have wine cellars in Canberra? A: Yes we have climate controlled personal wine cellars for storing your precious wine, cellars ranging in size from 8 cases up to 100 cases. Access is 24/7 and each wine cellar is individually alarmed for peace of mind. Q: I need to store my Hot Rod, do you have space to suit? I live in South Canberra. A: Yes, our Fyshwick, Canberra storage location offers drive up garages suitable for any types of vehicles. We also offer more economical open spaces for larger vehicles, boats and RV's, secured with pin code access 24/7. Q: I'm a student and need locker storage during the break? A: Every Kennards Self Storage facility, including Fyshwick Canberra location has one cubic metre storage lockers for rent. Perfect for students, someone who moves around a lot or travels for work. Store your personal possessions in one place when lodging in shared accommodation or can't sit still. Lockers generally rent for $1 a day. Q: I'm a business looking to move and expand, do you have warehouse space? 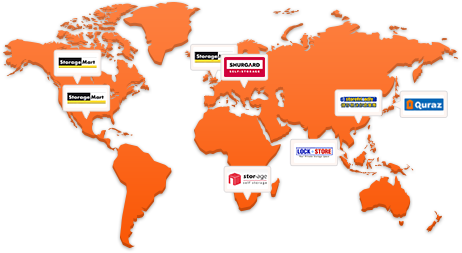 A: Yes, many Kennards Storage locations have what we call Enterprise Spaces for SME's. Mini Warehouses ranging in size from 30 metres square to 150 metres square. You'll enjoy the flexibility and freedom of standard storage arrangements. No bond, no legals, no outgoings and no lock in period, total freedom with your storage requirements. Q: What size storage space do I Need? A: Size does matter! You don't want to be paying for more space than you really need. You can speak to one of our trained storage professionals. They can help determine the right storage space for you by asking questions about your storage needs. Or you can use our Space Estimator to help you choose the size of your storage space. And if on the day it's not right we can change it! Q: How much does storage cost in Canberra ACT? A: Storage rent is generally paid monthly in advance, storage costs may vary depending on the size and location of the storage space. It's important to choose the right size space for your storage needs so you are not paying for extra space you don't need. Some storage companies may charge additional fees for administration and cleaning in addition to storage rent. At Kennards there are no hidden fees or charges, just one monthly rental amount. We like to call this our "Fair Go Pricing". You can often save on your storage costs by paying in advance. 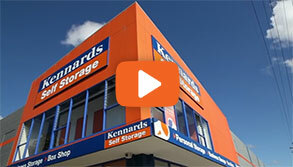 At Kennards Self Storage we offer discounts of 5% for payments made 6 or 12 months in advance. You can obtain a Quote, Reserve a storage space or even rent a space quickly and easily online, obligation free without penalty. You don't like the space we change it or your money back. That's our Fair Go pledge. Q: I need to pack up my house and move can you help? A: Yes we have a full range of boxes and packing supplies available online or in our store retail shop.